A. No, we will take this opportunity to communicate the direction of the investigation and the ethical standards required by both parties. Q. Are there any upfront cost or fees? A. In most cases we will require a retainer based on the estimated time to effectively complete the investigation. Time not utilized will be refunded. Q. Are there any guarantees on services rendered? A. We are a service provider in an industry that has no control over the actions of our intended subjects. The service that we provide is, by design, to report the actual activities of the subject. Therefore, the only guarantee made, is that we will work your case in an ethically and results-focused manner. Q. Will I be required to sign a contract? Q. How will I be contacted and updated as to the status of the investigation? A. You will be contacted by whatever means you desire. The contact information will be gathered during the consultation. You will be notified of the status of the investigation within 24 hours after the completion of the day it was worked. 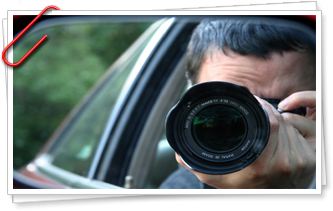 The investigator may contact you during the investigation if additional information is needed. Q. If I have urgent information about the subjects’ activities, who do I contact? A. You will be provided with a person and number to contact reference your investigation. Due to the need for scheduling, we require 24 hours notice to schedule an investigator. If you have last minute information on a subjects’ activity we will make every effort to get an investigator on the subject, but we cannot guarantee it. Q. How is the activity reported? A. Other than the updates, a final written report, along with any recorded video, will be provided to you at the conclusion of the investigation.